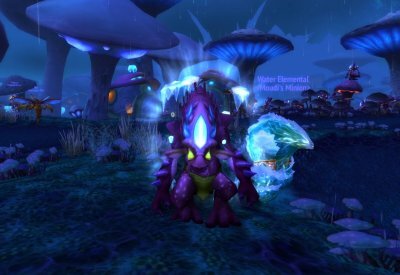 This event is a Micro-Holiday (comes out in patch 7.1.5) event that occurs 27th of May only. Today, the sporelings of Sporeggar in Zangramarsh hold their annual mushroom festival. Help them keep the great Fshoo alive as long as possible. During this day you can turn into a sporelings for 24h. During this event you have to keep a “plant” alive as long as possible in Sporeggar. Achievments are not in PTR yet for this. 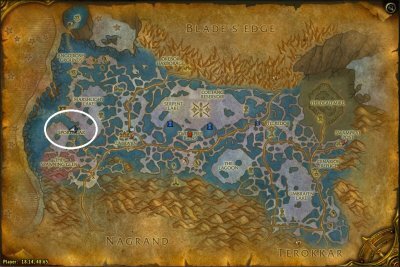 Travel to Zangramarsh in Outland, then head to Sporeggar (see map). The goal here is to keep Fshoo alive. He “spawns” in the middle of the village. The timer for each time he spawns is around 5 minutes. Pick up mushrooms you see in the area. There are different types of mushrooms with different purpose. Sporreggium: While in Sporeggar, increase healing done by 2%. Pungent Truffle: Transforms into a sporeling (24h cooldown). This works outside Sporeggar as well. Fungle Lifestalk: Instantly heal Fshoo by 5% of its total health. Rimecap: Instanlty freeze Fshoo for 3 sec, preventing it from growing or taking damage. There is no end in keeping it alive in PTR as far as I know. We kept it alive for more than 10 min. So probably you will get an achievement if you keep it alive for a certain time. We had only 1 healer to heal it, the rest 3-4 ppl used mushrooms. Meaning, it will be alive for much longer probably since there will be more ppl (Alliance and Horde) that will help. Seems only healers can keep heal it, rest has to use bandages/mushrooms.